There's simple built in moving map for X-plane. 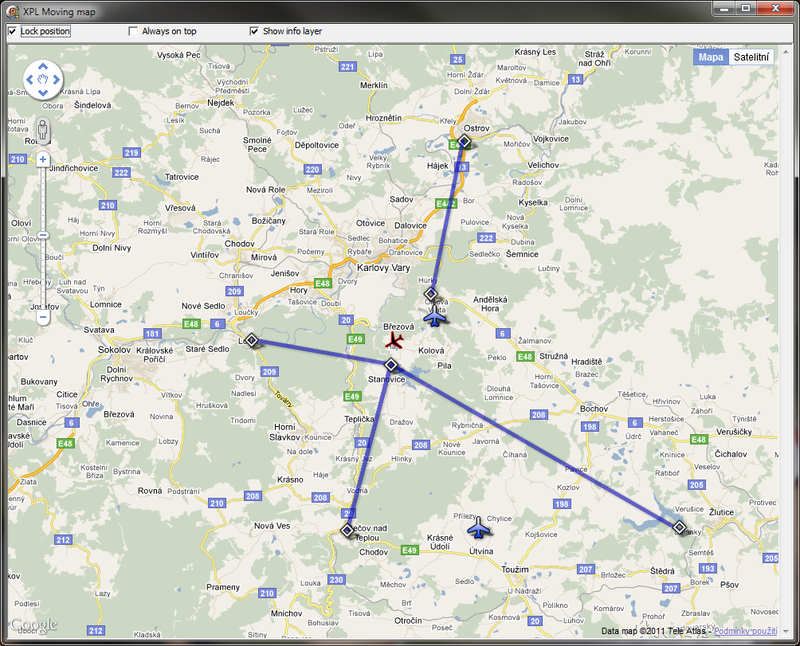 All you need is just to have X-plane plugin installed and click on Moving map button in main window. The map contains info layer which displays airports and other objects. It it based on fusion table and by default it contains airports exported from FSX database and VFR entry points + paths for Czech republic. This default fusion table is acessible and marked as exportable. So it's quite easy to create copy of this table and modify it or add another objects. Then with some XML tuning HIDmacros can be told to use different fusion table. If someone is interested how to set up this custom fusion table, please raise question in forum and I'll be happy to share with details. Flight simulator connection is not implemented, because there is another great software for VFR flying in FS.